Can Your St. Patty's Day Beer Help Your Teeth? St. Patrick’s Day is coming up soon! Corned beef, cabbage, Irish soda bread and green beer will soon be adorning our tables as we celebrate this popular holiday with family and friends. And while the beer will most likely be green on March 17th to commemorate St. Patrick’s Day, is there a chance that it could possibly be good for your teeth? Dentist in Newberg Dr. Jennifer McLeod and her team encourage patients to read on and find out! St. Patrick’s Day occurs each year on the 17th of March in order to remember St. Patrick (AD 385–461), the patron saint of Ireland who brought Christianity to that country during her life. 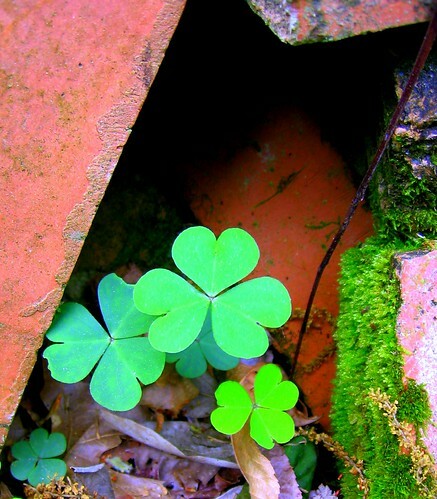 According to tradition, St. Patrick used the shamrock, a three-leaved plant, to explain the Trinity to the Irish people. The tradition called “The Wearing of the Green” refers to those who wear shamrocks as part of their St. Patrick’s Day celebrations. In the United States, we tend to take this green tradition farther than it should probably go – take a look at McDonald’s Shamrock Shake. In addition to this seasonal treat, we also use green food coloring in baked goods like breads, cookies, cakes, and even the frosting that appears on these treats. This particular shade of green is one that is not typically found in nature, and the food coloring used can be hard on our teeth. The food coloring that is so popular for St. Patty’s Day can also be found in beer during this one day a year. Recently, the ACS’ Journal of Agricultural and Food Chemistry reported that scientists have discovered how hops can be used to fight dental diseases. Beer experts know that hops are a particularly special ingredient in the brewing of beer, providing it with the levels of aroma and bitterness that beer drinkers enjoy. The hop leaves that are thrown away during the beer making process, however, have been found to create antioxidant polyphenols. When extracted, these polyphenols have been shown to prevent the release of bacterial toxins in the mouth and stop the bacteria responsible for decay from being able to stick to the surfaces of teeth. So can the St. Patty’s beer be good for your teeth? Unfortunately, no. But the part of the hops that can will hopefully be used in the future of dental care as it is more carefully researched and tested. Once St. Patty’s Day has been celebrated, it will be an excellent opportunity to get your teeth whitened. Dr. Jennifer McLeod, providing dental care in Newberg, OR, offers convenient and cost-effective teeth whitening options for a brighter smile!